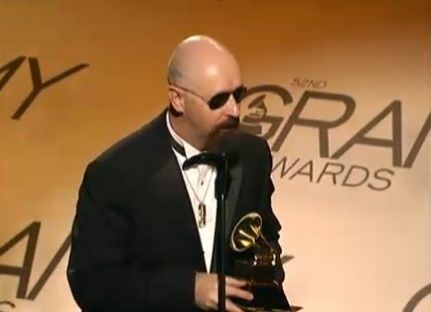 JUDAS PRIEST was honored with a Grammy in the "Best Metal Performance" category in the pre-telecast ceremony at the 52nd annual Grammy Awards, which are being held tonight (Sunday, January 31) at the Staples Center in Los Angeles. 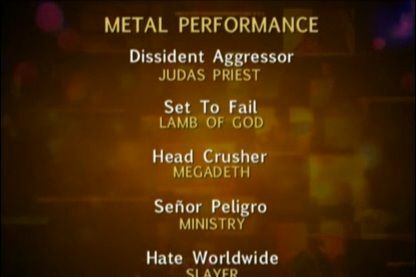 JUDAS PRIEST was nominated for the track "Dissident Aggressor", from the band's 2009 live album "A Touch of Evil: Live". 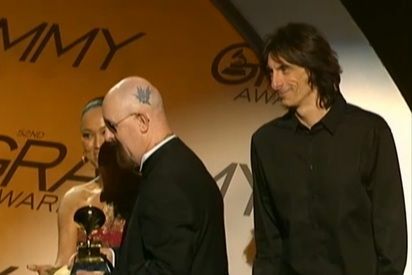 The band's lead vocalist Rob Halford and drummer Scott Travis accepted the award at the event. 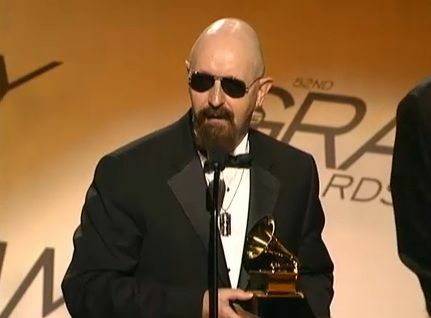 In his acceptance speech, Halford said, "The fifth time is the charm." 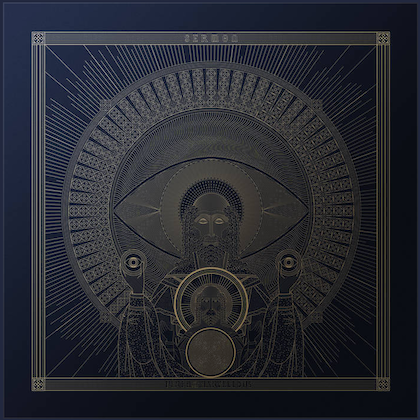 According to AOL's Noisecreep, he mentioned that PRIEST have been making metal for 35 years and that they still love what they do. He also remembered to thank all the radio stations and press that have supported the band, and he dedicated the award to all heavy metal fans. 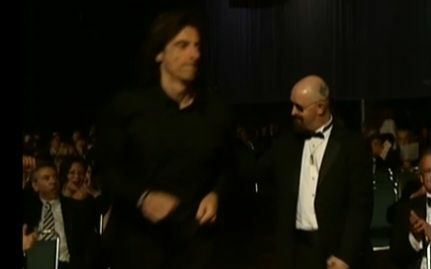 You can watch video of Halford's acceptance speech below.